I have a line drawn under my chapter headings using \titlerule[2pt]. 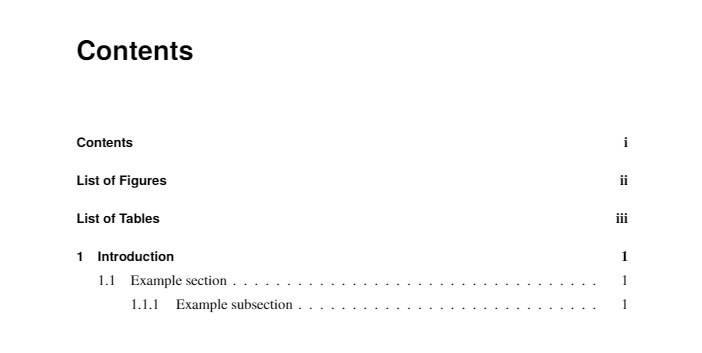 I want to achieve this same design underneath my 'Contents', 'List of Figures' and 'List of Tables' headings. Can anyone advise me how to do this? I want that line also under the big 'Contents' heading. 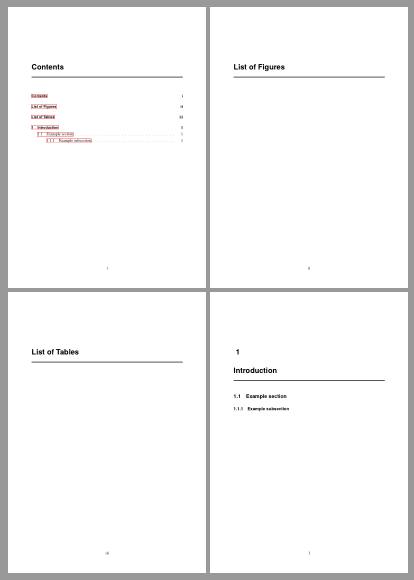 And the 'List of Figures' and 'List of Tables' headings on the other pages. Note that the redefinitions of \cfttoctitlefont, \cftloftitlefont and \cftlottitlefont. Additionally there is no need for the \cleardoublepage commands before LoF and LoT. Not the answer you're looking for? Browse other questions tagged table-of-contents titlesec tocloft or ask your own question. How to change the style of “Contents” heading?